Our Quality Assurance is our commitment to our customers. 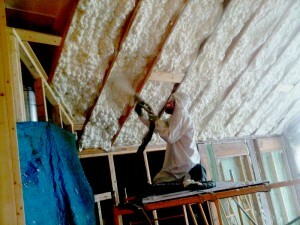 At NCFI, we stand behind the quality of all of our residential spray foam insulation products. 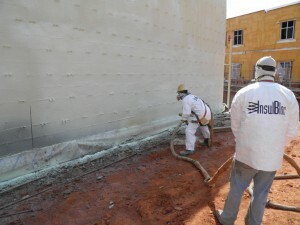 In fact, we are so sure of the high quality performance of our residential spray foam insulation systems that we offer an iron-clad promise for your satisfaction, no matter the spray foam solution that you choose. Of course, a product is often only as good as the contractor who installs it. That’s why at NCFI we developed a comprehensive training program that includes classroom and hands-on training to ensure our product is safely and professionally applied. Successful completion of this course is required before a contractor is eligible to purchase and apply our spray foam insulation. What’s more, these GoldStar Certified Applicators offer the same satisfaction-guaranteed warranty that we do. With top-notch applicators, and a completely transparent guarantee, we like to think we’re the only choice for spray foam insulation. Feel free to view one of our sample warranties to see for yourself.